Successfully saved Bourbon Molasses Glazed Ham to your Calendar. You can also save the ingredients to your Grocery List. 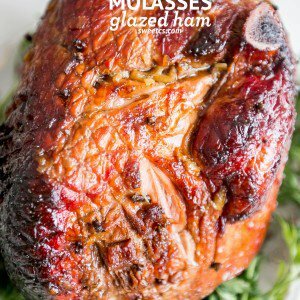 Recipe for the most delicious Bourbon Molasses Glazed Ham - sweet, crunchy, salty, and completely addictive with a subtle smoky flavor!